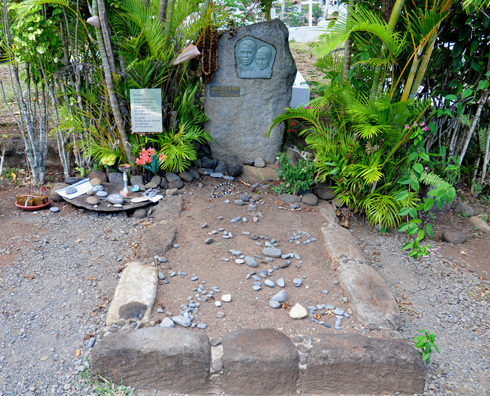 On the Marquesan island of Hiva Oa artist Paul Gauguin is buried. I’ve had a strange relationship with Gauguin over the years; I’ve admired his single-minded vision, his bold compositions loaded with meaning and his dazzling use of colour. 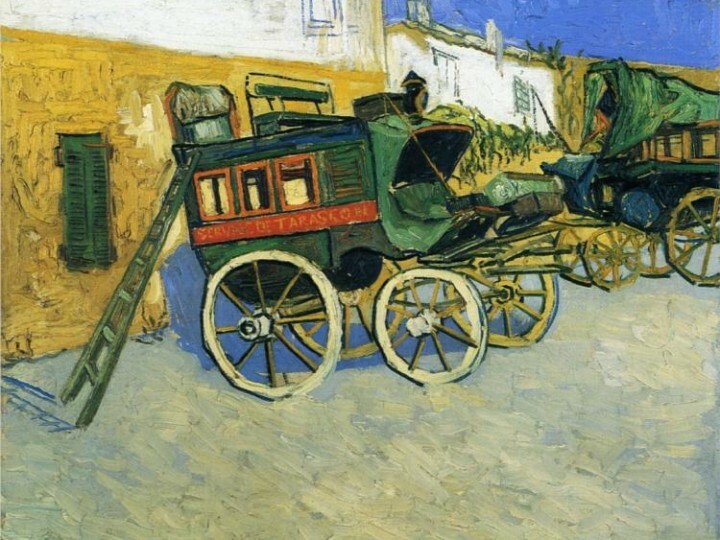 But I’ve always been uncomfortable with his abandoning his family and taking teenage Tahitian brides, and blamed him for the sharp deterioration in Vincent van Gogh’s mental health in late 1888 which culminated in that infamous ear-hacking episode. My admiration for his art lead me over the years to want to pay my respects to him at his grave, but I confess that I imagined that when I got to his grave I would do something shocking like spit or urinate on it out of disgust at his personal behaviour. If this seems disrespectful and revolting then that’s simply a reflection of the powerful emotions that Gauguin stirs up in me. 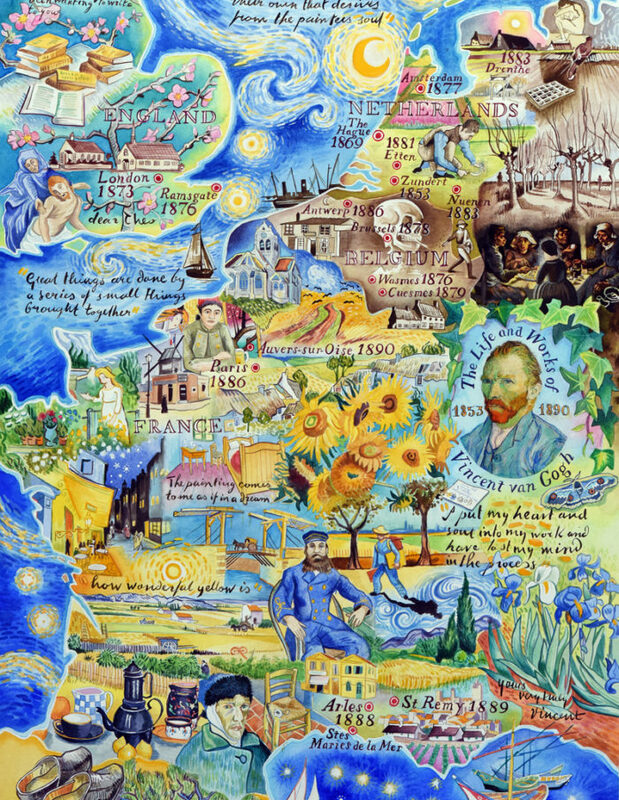 For the year leading up to our trip to the Marquesas Islands in February I read lots about Gauguin and the more I studied him, the more I came to admire his art, his courage, his wicked wit and understand why he did what he did. And I have learnt why Vincent hero-worshipped him. 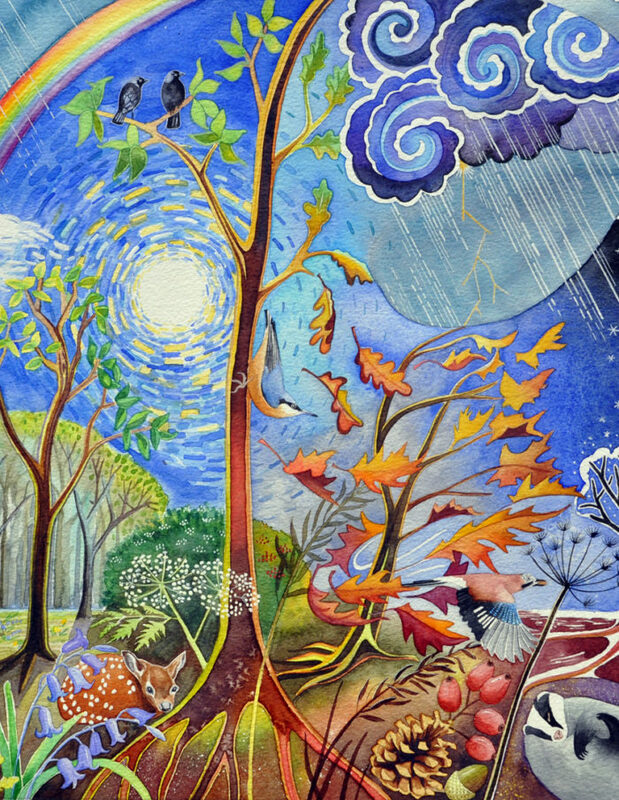 Perhaps I wouldn’t spend a penny at his grave; perhaps I would just spend some time. 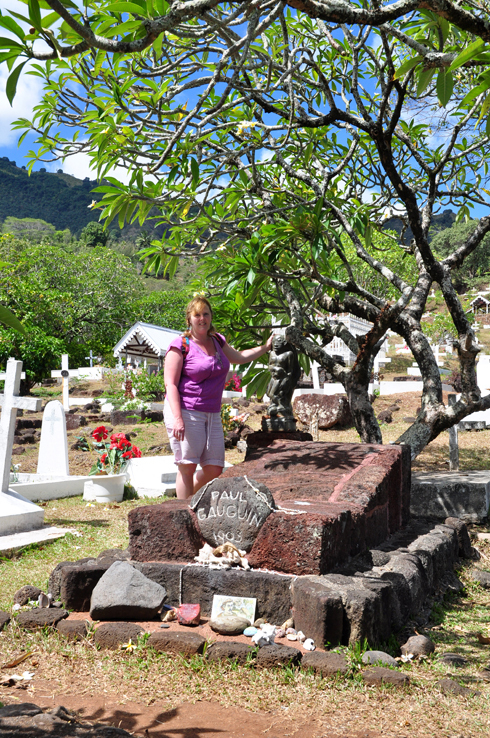 On a hot afternoon in early February 2009, we finally arrived at Calvary cemetery on the steep hillside at the back of Atuona, Hiva Oa’s main village. Hundreds of bright plain white crosses and flowering trees laid out on shallow terraces spread up the hill, and contrasted brightly against the dark sheer walls of the volcano which formed the backdrop. 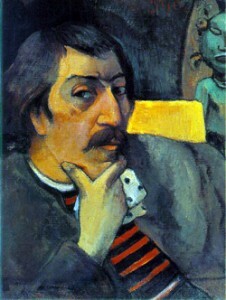 Gauguin’s grave is one of the few without a cross. 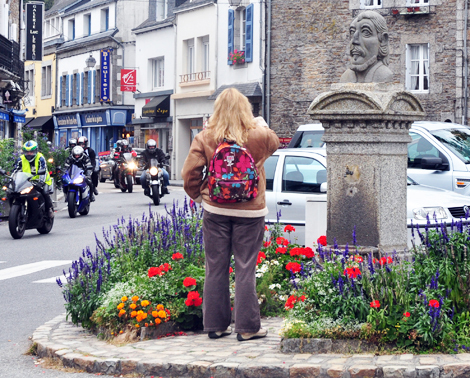 Great unhewn dark pink stones mark his final resting place with one just roughly carved ‘Paul Gauguin 1903’. 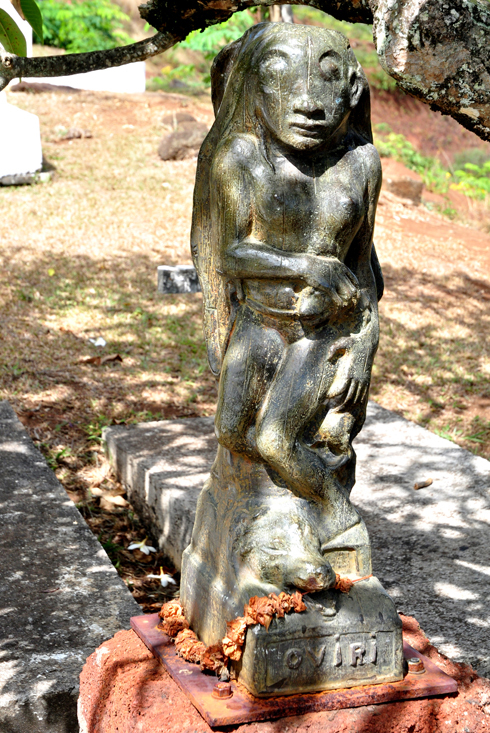 A copy of his sculpture of the figure Oviri (meaning ‘wild’) guards the grave as he requested, and out of the back of the grave a fragrant frangipani tree grows, littering the pink grave with white and yellow flowers. In the end, I neither spat nor urinated on Gauguin’s grave. I sweated a lot, that’s for sure, and the frangipani tree did offer a little privacy to have a quick pee before walking down the hill back into the village. Further up the hill, we spotted the grave of the Catholic priest from who Gauguin had bought land to built his house, and who he taunted mercilessly throughout his life in Atuona.